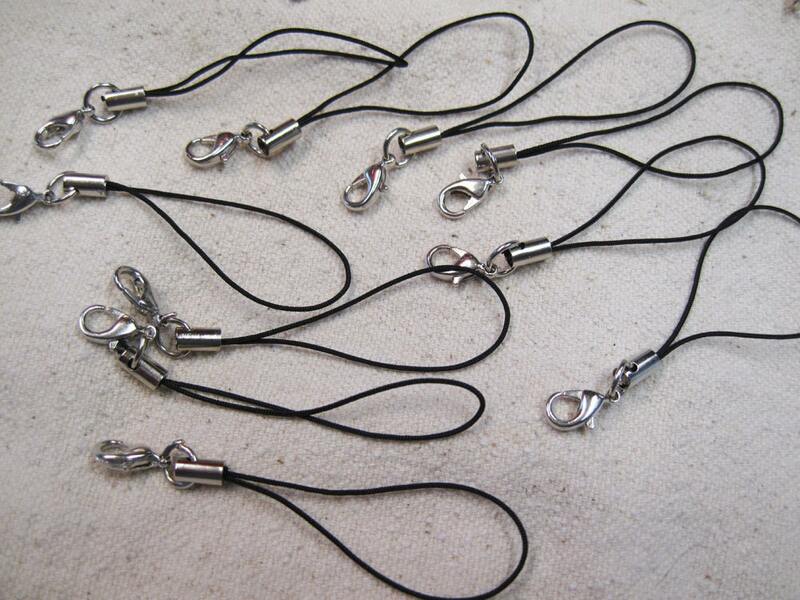 20 basic black Lanyards with lobster clasps to be used for your cell phone, handbag, camera, belt loops, and zipper pulls!! Lots of uses for these and handy to have around to whip up a nice gift for any occasion. Embellish with some of the beads from our shop! Length is about 2.75 inches (7cm). Silver tone lobster clasp with jump ring. Quick shipping. Exactly what I ordered. Arrived quickly, good quality. Thanks very much! Very fast shipping, will order from again! Thanks so much.